Breakfast is the most important meal!! Scramble the eggs and add the sour cream (I hope you know how to make eggs by now). Heat the pan and put in like a table spoon of butter. Let it melt for a bit, and then hold down each half of the bagel inside up in the pan for about 10 sec. You’ll need a teaspoon of butter for each side. Remove both halves of bagel and place to the side on a plate. Put in tons of butter then pour eggs in to pan with medium heat. 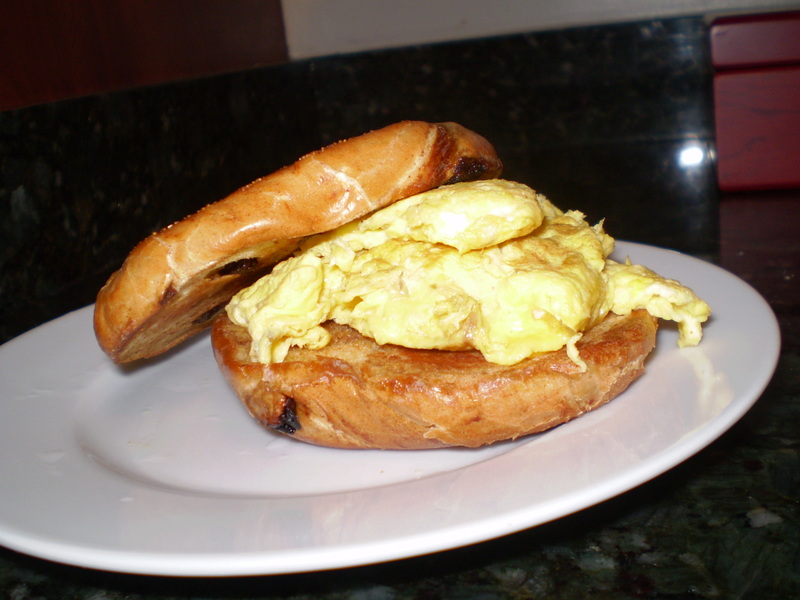 Scramble to perfection, shake the salt, and then put eggs on bun. Done! You have a Baby in the Bun ;). This is healthy because of the nutrients. Not fat content.